Stock Low : 173 items left. This is a large item that has an additional large item delivery charge of $0.00 per item and cannot be delivered to post office boxes. Please see Delivery & Returns tab below for details. Elevate your entertaining experience with the timeless and tasteful Round Marble and Timber Serving Stand. 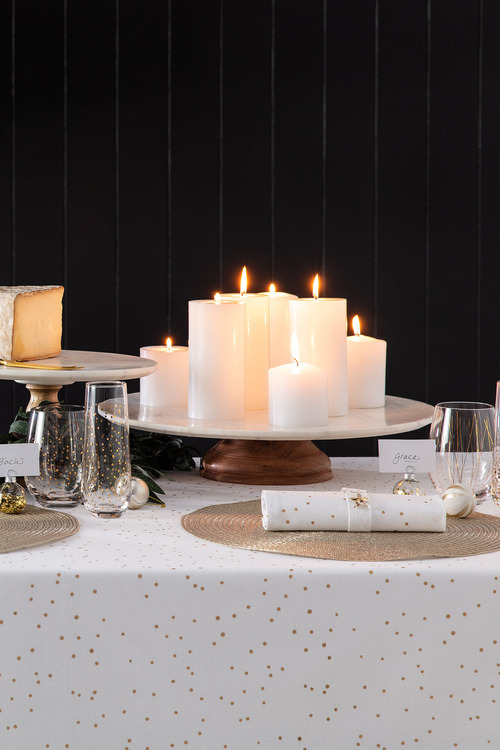 Whether used to serve meals, cakes or tea-party delights or to display elegant knick knacks, this piece is the perfect presenting companion. 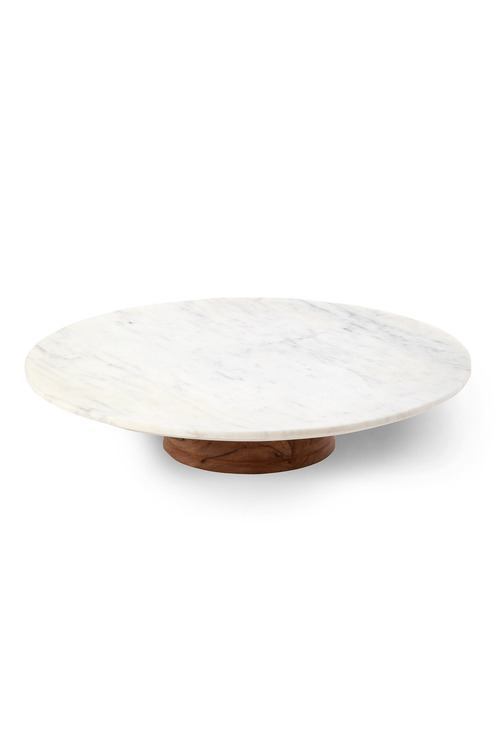 It's crafted from sturdy and durable materials, including a sophisticated white plate and wood base.